I use the sepia filter in my photography for old vintage subjects to reinforce the historic look. 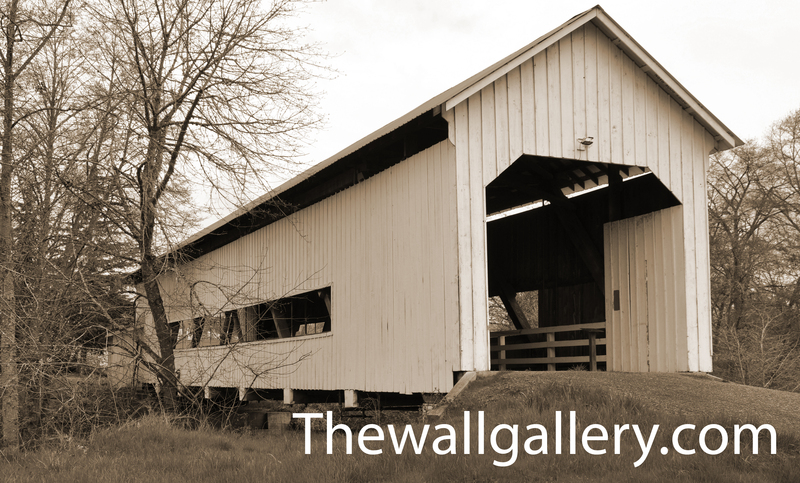 Today I am featuring two covered wagons I came across in Oregon when I was doing a photoshoot of covered bridges. They were on the grounds of a local museum and of course I couldn’t resist the opportunity to shoot them. Presenting them using sepia tone to duplicate the old chemical process in developing film seemed an obvious choice for the subject matter. 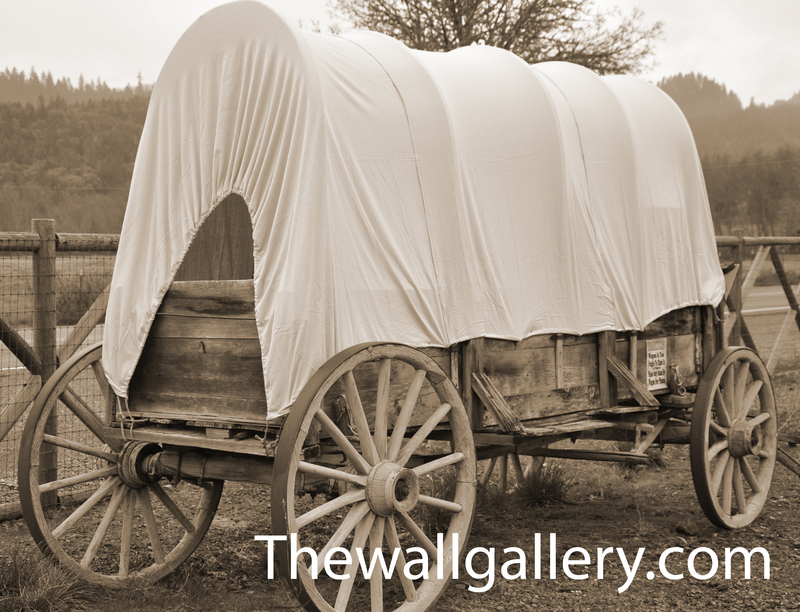 As I looked at these covered wagons, I couldn’t help but think how it would have been traveling cross-country in this type of transportation. To traverse across vast distances of landscape with your family and all your belongings for months, to start a new life blows my mind. As a child, I can remember loading up the family station wagon, (mom, dad and four kids) traveling from the midwest to visit relatives in California. I can recall that we would always drive the desert stretch at night since this was before air conditioning was common in cars (ok…I’m old). We did eventually get a new station wagon during those years that had AC and us kids thought we were in heaven during those later trips. 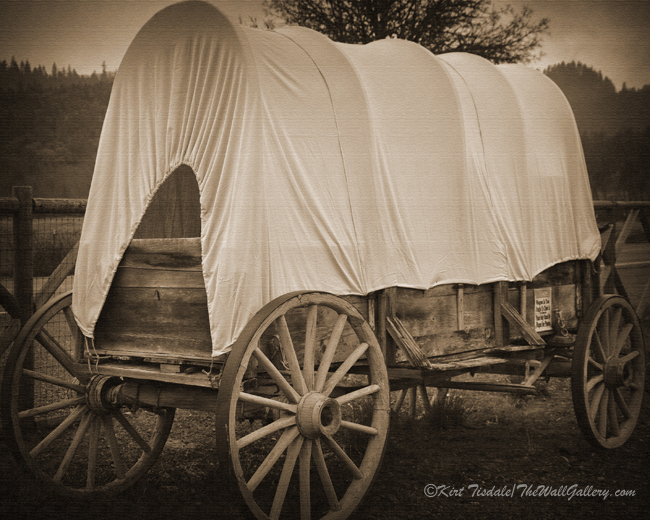 I applaud our forefathers in the eastern parts of the United States and Canada that headed west in both countries with this mode of transportation. Some settled in the plains and others continued westward through the Rocky Mountains to settle in the far west of both countries. 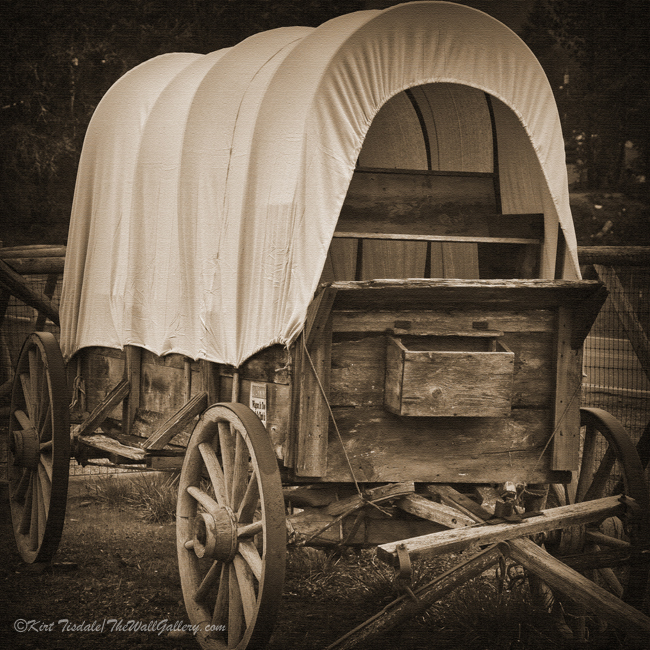 This entry was posted in Sepia Photography and tagged covered wagons, kirt tisdale, online art gallery, photographer, sepia prints, sepia tone on September 14, 2018 by Kirt D Tisdale. 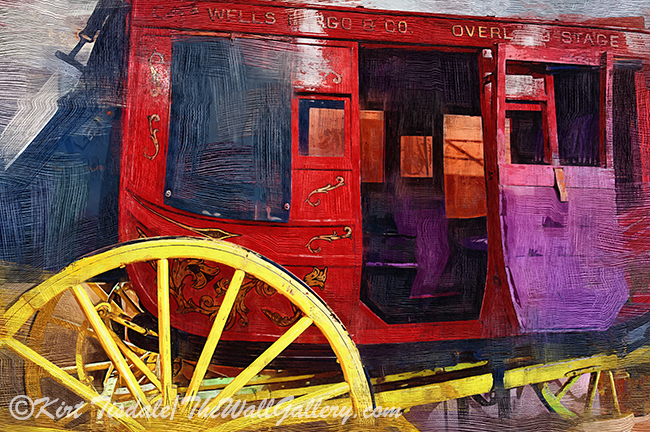 Red Stagecoach and Blue Covered Wagon are art prints I created using a traditional oil technique to create this look. 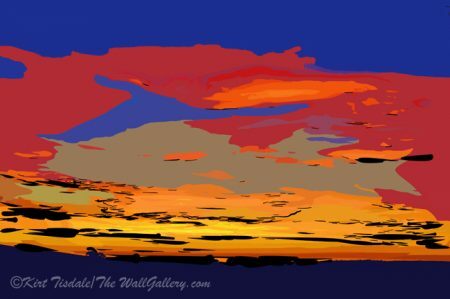 This technique uses strong, but narrow brush strokes with bright colors. 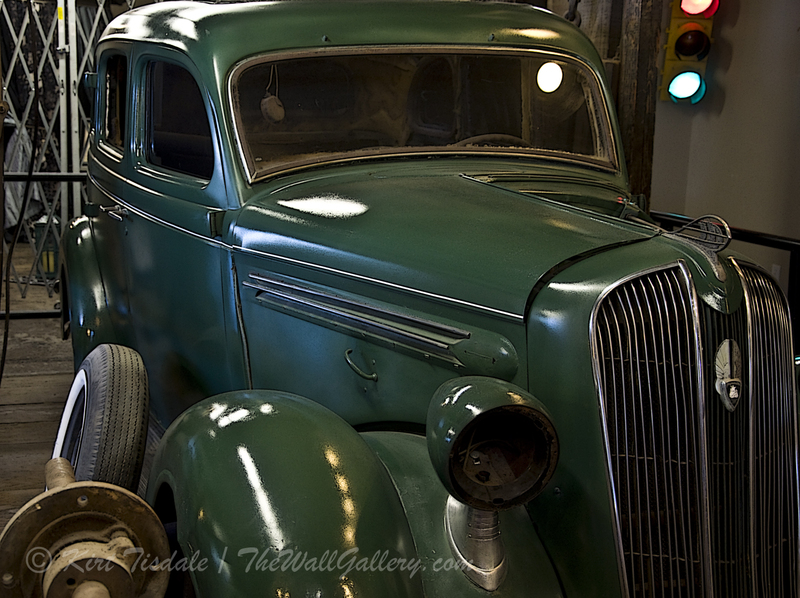 I liked the way it accented the colors and structure of both vehicles. 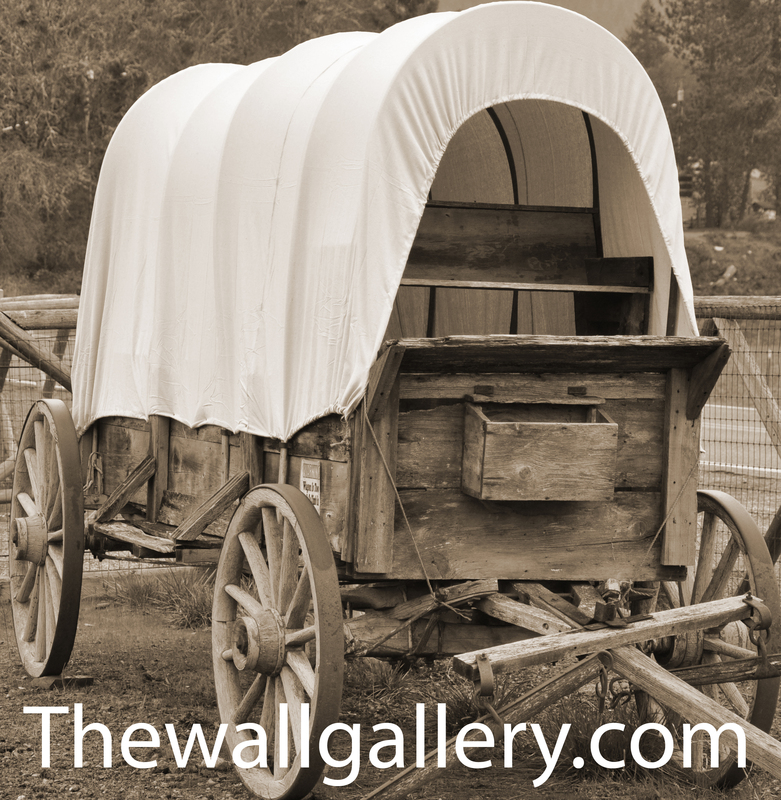 The inspiration behind these prints are a stagecoach and covered wagon I came across in the Sharlot Hall Museum located in Prescott, Arizona. The museum structure houses these two modes of transportation along with vintage cars. I can’t even fathom having to travel across the wide open expanse of the Western United States in either of these vehicles. 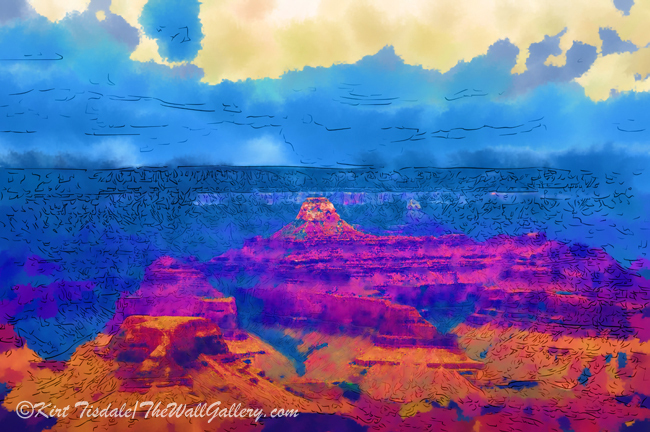 Every summer I reflect back to what it must have been like traversing the mountains and deserts back in that era as we drive on modern freeways with our air conditioning keeping us comfortable. I applaud the determination of our forefathers who settled this vast territory. Thoughts? 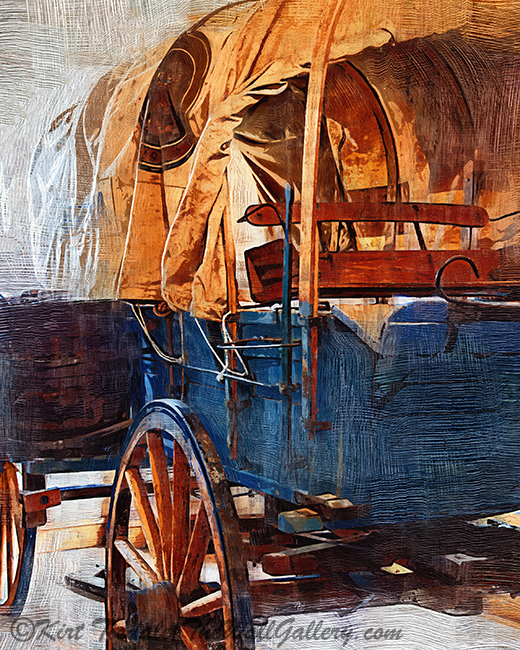 This entry was posted in Art Prints, Landscapes: Oil and tagged arizona, artist kirt tisdale, covered wagons, historical, old west, online art gallery, stagecoaches, transportation on January 22, 2018 by Kirt D Tisdale. These prints have just been added to my Sepia Gallery on my Main Art Gallery Website. 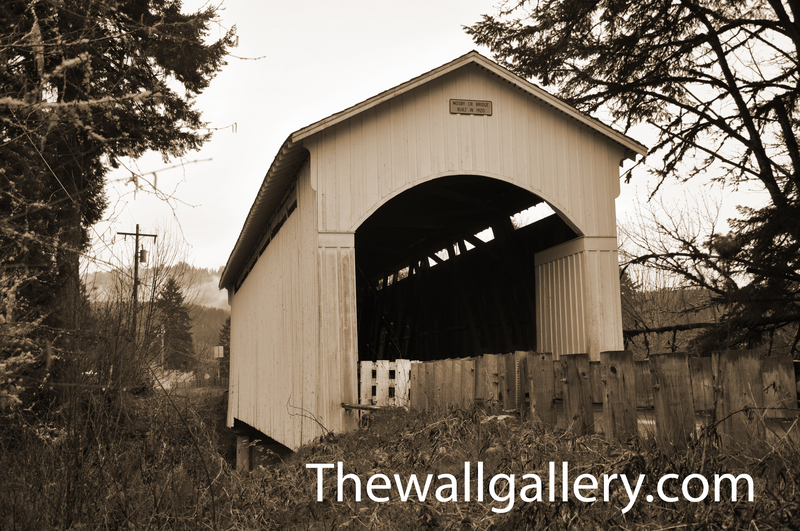 As a follow up to my earlier blog Covered Bridges Oregon Style, these prints are the ones that I selected to do in sepia tones (I am still working on watercolor and oils from that shoot). I like the look it creates on certain subjects. Since by definition it creates that old rustic look, it applies better to those types of subject matters. Check out the gallery and let me know what you think. 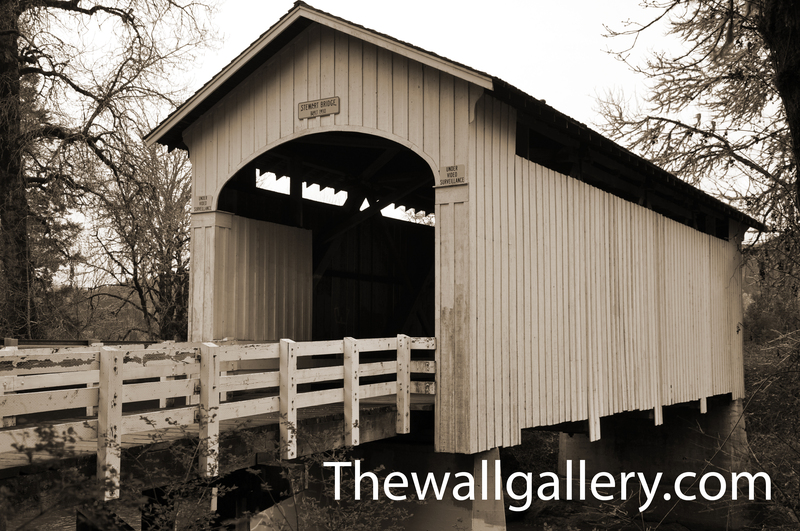 This entry was posted in Art Prints and tagged art, art prints, Bridge, Covered, Covered bridge, covered bridges oregon, covered wagons, Historic Bridges, History, oregon trail, photography, rivers, sepia prints, sepia tone, Structural Engineering, wagons on April 23, 2013 by Kirt D Tisdale.